The colder weather may bring not only ice and snow, but high winds and flash flooding too. These are unpredictable and extreme winter weather conditions that every vehicle – private or commercial fleet – should be prepared for. How can your business minimise any unplanned vehicle downtime on account of the adverse weather conditions, and reduce the risk of accidents? 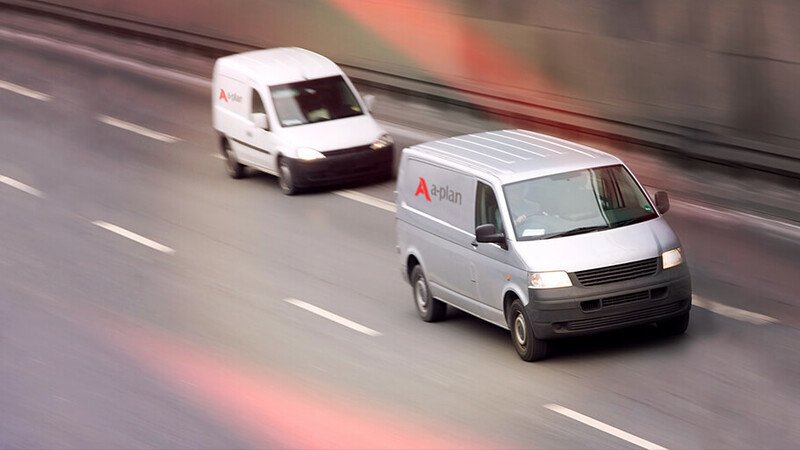 Fleet managers have a responsibility to ensure that all vehicles in their charge are safe to drive and that drivers have all the information they need to stay safe behind the wheel at all times. With that in mind, here are some key fleet maintenance tips to help your business can prepare its fleet vehicles for any unforeseen circumstances this winter. Your first step to ensure that your fleet is prepared for the colder months ahead is to meticulously maintain and regularly check all vehicles. Basic winter checks for cars and vans should include the correct tyre pressure and tyre tread (the legal minimum is 1.6mm throughout a continuous strip in the centre). You may wish to fit winter tyres, especially if your vehicles visit remote areas. Ensure that headlights are clean and aligned correctly, and that all bulbs are working properly, and check the windscreen wipers regularly, making sure a high strength screen wash (with antifreeze) is used and regularly topped up. Vehicle cleaning takes on a higher priority during wintertime when busy fleet vehicles can easily get covered with excess salt and debris. This can build up over time and result in poor visibility for drivers while causing damage to the cars themselves. Regular winter car washes should be scheduled to clear the vehicle from debris, to maintain maximum visibility through the windscreen and to keep number plates clear. While ensuring the safety of the vehicle for winter driving is paramount, help for drivers in case they become stranded as a direct or indirect result of the adverse weather conditions must also be provided. By supplying each vehicle with an emergency pack containing essential supplies, drivers can be kept safe, whether they’re stuck in a major traffic jam, the vehicle has broken down or they’re involved in an accident. Should the vehicle break down on a motorway, or anywhere the driver has to leave the vehicle to go to a safe location, the emergency pack should be readily available to grab and go. Even the best prepared fleet in the country won’t stand a chance against unpredictable winter weather if the drivers are not familiar with safe driving techniques. Fleet managers need to make extra sure that drivers know what they’re up against and communicate the right driving behaviour in hazardous conditions. Ensure full visibility before you set off. Don’t be tempted to drive until the windscreen is ice free and fully demisted. If the vehicle is covered in snow, make sure the roof, windscreen and bonnet have been cleared to avoid the risk of a deluge of snow obscuring your field of vision while you’re driving. Check your equipment before you start your journey. An additional full charged mobile phone and in-car charger can be a lifesaver if your regular phone goes dead. In addition to your emergency pack (see above), you should also carry a protein based snack, water and a first aid kit, as well as a tow rope, jump leads, a shovel, a warning triangle and a piece of carpet (for freeing up stuck wheels). Where possible, stick to the main road that are more likely to have been cleared and gritted, minimising the risk of getting stuck in snow and ice. Last but by no means least, fleet managers should plan for all scenarios including the possibility that roads are impassable and staff are simply unable to come into the office or depot due to the winter weather. Draw up contingency plans that allow your staff to work remotely, using existing communications technology. Computers can be logged in from home, while mobile technology enables a wide variety of texting and messaging functionality to keep in touch. Draw up a ‘Work from Home’ policy for your staff that clearly sets out the conditions under which home working is allowed. That way, everyone is kept safely off the road until the weather passes.